Toronto Dance Theatre's (TDT) long-time lighting designer, Roloef Peter (Ron) Snippe, has been honoured with this year's Dance Ontario Lifetime Achievement Award. The annual award, which recognizes "the unique contribution of an individual over a lifetime," pays tribute to Snippe's thirty-seven year career collaborating with major dance, opera and theatre companies. TDT Artistic Director Christopher House says Snippe "has formed part of the bedrock of dance in this province." 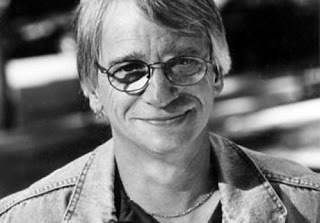 Snippe's career began with George Luscombe's Toronto Workshop Productions. He began working with TDT in 1973 and has since created over 150 designs in its repertoire. He was also the original lighting designer for Dance Ontario Dance Weekend and has work with major companies such as The National Ballet of Canada, Danny Grossman Dance Company, Dancemakers and independent artists and schools.